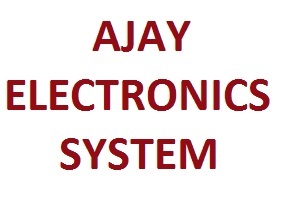 AJAY ELECTRONIC SYSTEM has time-proven experience and reputable expertise in the development of document management solutions, e-commerce applications, business application and automation software, custom software solutions and online applications supporting business-to-business collaborations. We provide custom-built application as per the customer requirement. We design and implement software solutions that work - while you concentrate on your business. Our comprehensive delivery options enable us to distribute work across global locations to align with clients' cost, speed, and risk requirements. World-class talent and proven development processes allow us to deliver advanced technology solutions at a great value. The applications produced on behalf of its customers combine the best of both custom and off-the-shelf software. This affords our clients the opportunity to build "custom" and implement "standard". The total cost of ownership for software created in this manner is reduced, while functionality and maintainability are enhanced. We are a young team having excellent educational background coupled with their valuable experience with leading software companies gives its technical strength.